BELLE CHASSE, La. 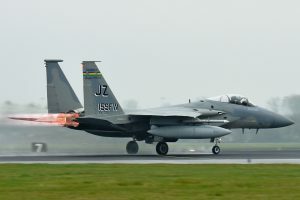 — Nearly 300 Airmen and 12 F15C Eagles from the Louisiana Air National Guard’s 159th Fighter Wing that are deployed to Leeuwarden Air Base, Netherlands in their role as a Theater Security Package, recently participated in exercise Frisian Flag in support of Operation Atlantic Resolve. 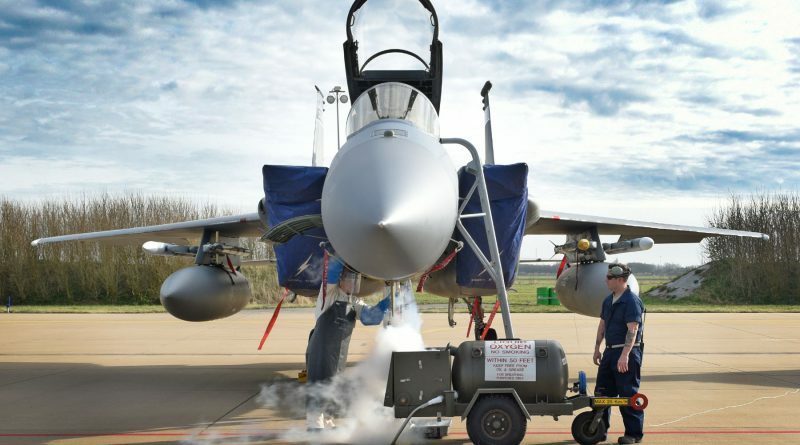 The 159th Fighter Wing deployed to the United States European Command area of responsibility in March for a three month rotation. 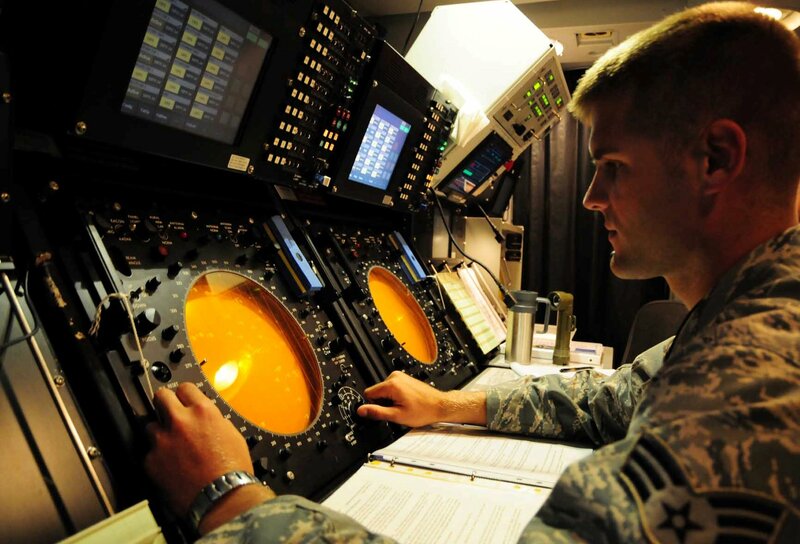 Frisian Flag is an exercise led by the Royal Netherlands Air Force in Leeuwarden AB. 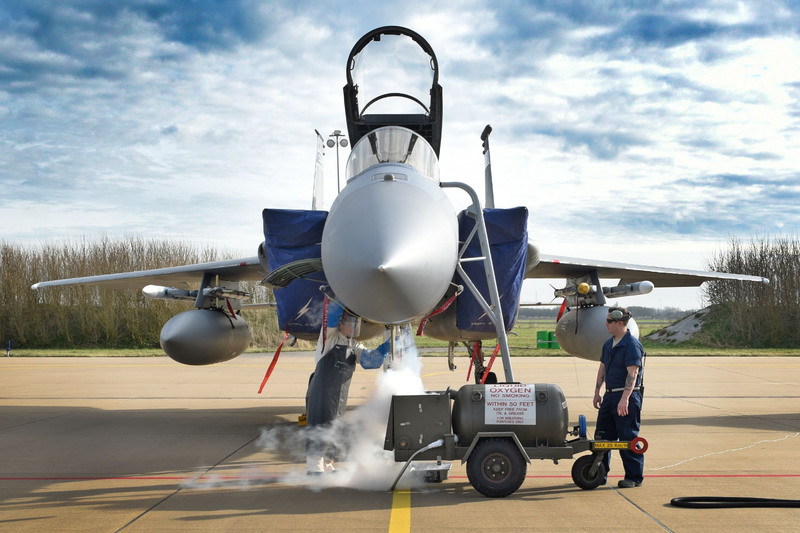 Similar to Red Flag exercises hosted by the United States, Frisian Flag is a multinational training exercise that simulate realistic scenarios in a safe training environment. The purpose of Frisian Flag is to improve cooperation and capabilities between the multiple participating countries. Brig. 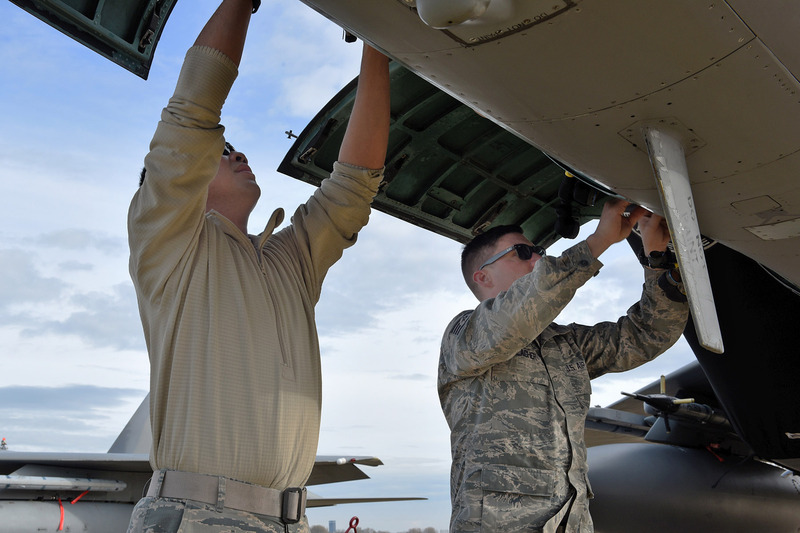 Gen. Pete Schneider, LANG’s assistant adjutant general-Air, visited the deployed Airmen while they participated in the exercise. 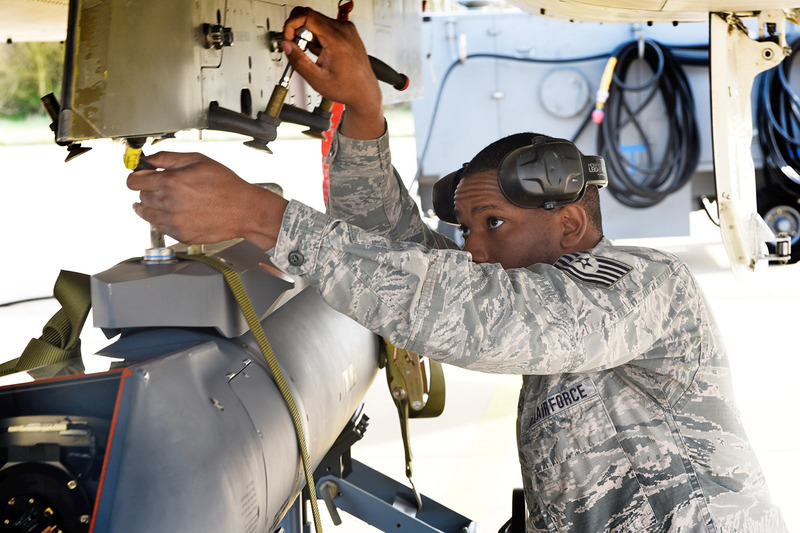 Senior Airman Jacob Attuso of Baton Rouge and an aircraft engine mechanic with the 159th Maintenance Squadron on his first deployment, said he is pleased to be learning and working with the different countries that are part of the exercise.